I am reading a couple of books right now that give me great courage (“courage” coming from the root “coeur” which means “heart”) in this journey towards (in? of?) motherhood. One is called The Creative Family by Amanda Soule. Amanda is the crafty mom I can only imagine impersonating, since crafty I never have been. But she makes me think I could. As she tells us in the book’s introduction, she wasn’t crafty either; her children brought it out of her. Being with one’s own children, observing their inherent creativity coaxes the creative juices out of ourselves, she writes. I don’t have that attitude anymore, but up until recently I did think that being “domestic” (whatever that meant) would never be anything I’d want for myself. The decision I made last month in Florida resonates as a right move more and more every day. As I live with it, and continue to make the changes I set in motion with that decision, my world keeps getting bigger and deeper, like a lake I have been drawn into, or a house with a labyrinthine basement and multiple rooms. Each day that goes by seems to show me how right it was to pull my attention inward, to give more of myself to my family and my art and less of myself to the wider world. And part of that seems to be, for lack of a better word, taking real pleasure in the domestic. First of all, I have been a Freecycling maniac. I have been setting all sorts of boxes and bags on my porch, watching gleefully as strangers stop their cars in my driveway and remove them. I feel like I am able to take deeper and more sustaining breaths with every item that leaves the house. I have finally let go of the boxes of my larger sized clothes which supported me lovingly through my pregnancies and post-partum periods. And of course, with each development and pound, Johnny sheds clothing and ––barring any unplanned pregnancy–– we will never need again. But I’m also awake to the small, joyful tasks that are the privilege of running one’s own household. I say this because I’m aware of how lucky I am to live in my own house, where there is plenty of room for everyone. In another country, in another income bracket, I’d be trying to raise my kids while sharing space, sharing resources, sharing aural real estate. I get to have a dishwasher to clean my dishes. I get to have a washer and dryer to deal with the commodious amounts of laundry we create. I get to shop at a food co-op where there is excellent local organic produce and poultry. And yet, even as I express my gratitude, I yearn for other women in close proximity to help me raise my children, and to get to do the same for them, which is often a byproduct of communal living. I recognize that a more communal approach is what was the norm up until recently, even in this country. 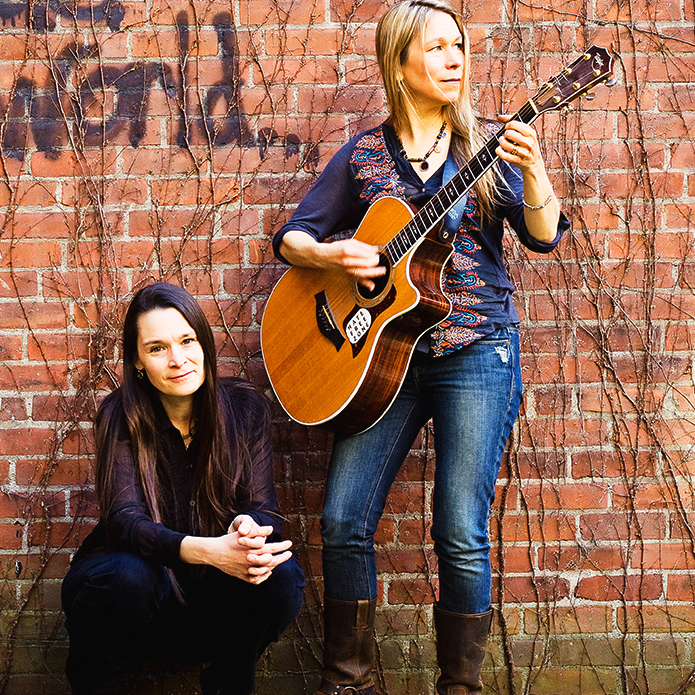 For one thing, it’s so essential for moms to remind each other how hard it is to be moms. I don’t mean we need to whine and complain to each other, though there is a place for that. I mean it’s easy to let the culture fool you into forgetting that this isn’t just like falling off a log, for most of us, anyway. Just having another mother say, “Oh, potty training took my kid forever“, or “No one in my family slept last night either” makes me feel less alone and lifts a huge burden from my chest. The other book I’m reading is Katrina Kennison’s Mitten Strings For God. I read a little each night before I turn in; she writes short, sweet chapters all about mindful, intentional parenting. Recently I’ve been reading her chapter called “Quiet” and what a gift it is to our children to turn the radio/TV/stereo off and just work and play in silence. I had been noticing that it is actually no longer possible to listen to All Things Considered anymore at dinner time. Even if we could hear it over Lila’s demands to be held and Johnny’s end-of-the-day wails, I don’t think the sense of the pieces could penetrate our own tired, over-saturated minds. So, for the next while, I officially don’t know what’s going on in the world and will have to rely on my sisters and parents to inform me. Katryna came over today and we made get-well cards for our sister and her husband. Lila and William painted and chatted and played outdoors and generally charmed us so thoroughly that we looked at each other and said, “We are the luckiest people in the world.” Then an hour of complete chaos followed that culminated with my counting the minutes until the babysitter came over so I could go to the grocery store (by myself! Imagine that!) and steal a five minute nap in my car. Parenting does that to you–whiplash emotional switches. Lila found a Mr. 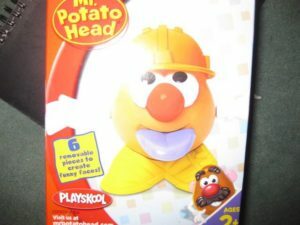 Potato Head in its unopened box in the attic. I was going to Freecycle it, but didn’t have the heart to once she found it and said, “Is this mine, Mama?” Well, of course it was. So we opened the box on which the product purported to induce wild amounts of creativity. I don’t get it. It has hands, eyes, a tongue that sticks out and a hat and feet. What’s so creative about that? I can see that if you took a real potato and fashioned shoes out of, say, gumdrops, that that might be creative. But what is creative about plastic old Mr. Potato Head? “You could put his eyes where his feet should be,” Katryna suggested. Big whoop. 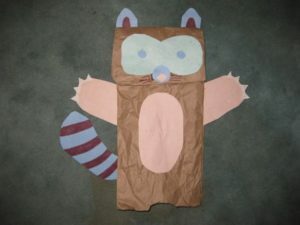 We also made a puppet out of a paper bag and some construction paper. That was fun because we got to play with the Elmer’s glue. “Uh, huh,” he said. There was a pause. Playing the guitar wouldn’t count. “So you’re the active type,” he concluded. I felt odd. “Not really,” I said. How could I tell him that I only really ran (at that time) to stay thin so I would look good on stage? Everything I did, I realized, was for my career. I lived for one thing: performing. Everything in my whole life was aimed straight at the goal of being a better, more successful performer. There was no room in my life for hobbies! And that made me indescribably sad. So here’s a happy ending. Today, I am learning how to knit, draw, paint, make paper-bag puppets, garden, sew and who knows what else. The great thing about being a parent is that you get to see the world through your child’s eyes, and whatever she wants to pursue, you get to follow. I can’t wait to see what comes next. Those are two of my all time fav books! Yeah for good reads. Regarding Mr. Potato Head: I derived great pleasure from the plastic version, as a child of the late 80s. I liked putting all of his parts into the seat-flap. I am so glad you are finding joy in your life.